less common but highly important cause of back pain can arise from a spinal tumor or nerve tumor. There are three distinct types of spinal tumors: vertebral column tumors, intradural-extramedullary tumors, and intradmedullary tumors. Spinal cord tumors are graded in severity levels from 1-4. Vertebral column tumors grow out of the bone or discs within the spine. Known as osteo sarcoma, this tumor is identified as common malignant bone tumor. Spinal tumors in women often result from cancer metastizing in the breast or lung whereas spinal tumors in men are likely to mestastize from cancer found in the prostate or lung. Often spinal tumors are accompanied by serious symptoms such as weight loss, fever, vomiting, nausea, and fluctuation in body temperature alluding to chills. Intradural-Extramedullary tumors form under the spinal membrane, which surround the spinal cord. Though they tend to be slow growing, intradural-extramedullary tumors can cause serious symptoms including pain, sensory loss, weaken motor function, and paralysis. Meningioma is a type of tumor than grows under the protective lining of the spine, commonly in the thoracic spine, and also the brain, in the meninges. A Meingioma tumor accounts for approximately 25% of spinal canal tumors and is prevalent in middle-aged woman ages 40-70. This tumor is very often diagnosed as benign; however in a rare case it could become malignant. When cancer spreads to other parts of the body it becomes an increasingly serious condition, both physically and emotionally taxing on the patient. This migration of cancer is referred to as Metastasis, metastatic cancer or stage 4 cancers. This is different from advanced cancer, which spreads to other areas such as tissue or lymph nodes next to the affected area in the body. Cancer cells metastasize occurs by way of breaking and traveling through the blood stream or lymphatic system which carry fluid throughout the body. The cancer can affect virtually any part of the body. Schwannoma tumors also known as neuromas emerge from the sheath of Schwann cells in the lining of the nerve. The sheath acts to send signals to the entire body. This type of tumor affects individuals ages 30-60 and is hereditary; individuals with a family history of spinal cancer are at high risk. Schwannoma tumors are typically benign. If left untreated to grow and infringe upon the nerves, sufferers often experience symptoms such as pain in the lower limbs, muscle weakness, tingling or numbness sensation. If this is the case, surgeons recommend having the tumor removed, regardless if it is benign or malignant. Similarly, Neurofibroma tumors affect the perperhal nerves. These nerves consist of 43 pairs of motor and sensory nerves connecting the central nervous system to the human body. Neurofibroma tumors can arise in a single tumor or groups, called neurofibromatosis. Unlike Schwannoma tumors, Neurofibroma tumors do not necessarily have symptoms. Cells that support the nervous system in the spine are called astrocytes. Technically known as Astrocytoma, star-shaped cells can form a tumor within a small section along the spinal cord. This type of spinal tumor is regarded as a 1-2 low-grade tumor. It is often diagnosed in both men and women who tend to be middle-aged individuals or between 35-40 years old. This type of tumor is often not diagnosed until it progresses in size. When an Astrocytoma tumor grows in size it is then regarded as a holocord astrocytoma. Often spinal tumors are accompanied by serious symptoms such as weight loss, fever, vomiting, nausea, and fluctuation in body temperature alluding to chills. 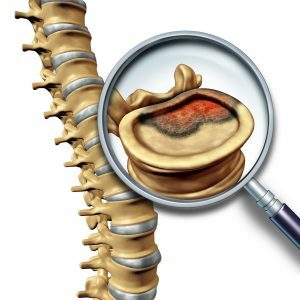 Treatment plans for vertebral column tumors, intradural-extramedullary tumors, and intradmedullary tumors include Spinal X-Rays, CT scans and MRI scans or biopsies. These methods best and safely determine the location, size, stage as well as determine if this tumor is benign or malignant. They also determine how aggressive or fast-growing it is. After careful evaluation a diagnosis is made to determine if minimally invasive surgery, radiation or chemotherapy is needed. North Jersey Spine Group combines well-rounded medical professionals including board-certified surgeons, physicians and physical therapists use a viable and comprehensive approach when treating each spinal tumor and nerve case. Service is patient-based for residents of Bergen County, Passaic County, Essex County, Sussex County and Northern New Jersey, to ensure the road to recovery includes minimal scarring, fewer complications, less side effects, and faster recovery.